It looks like this juvenile great blue heron is saying hello, or maybe talk to the hand. In reality it was only going for a scratch. 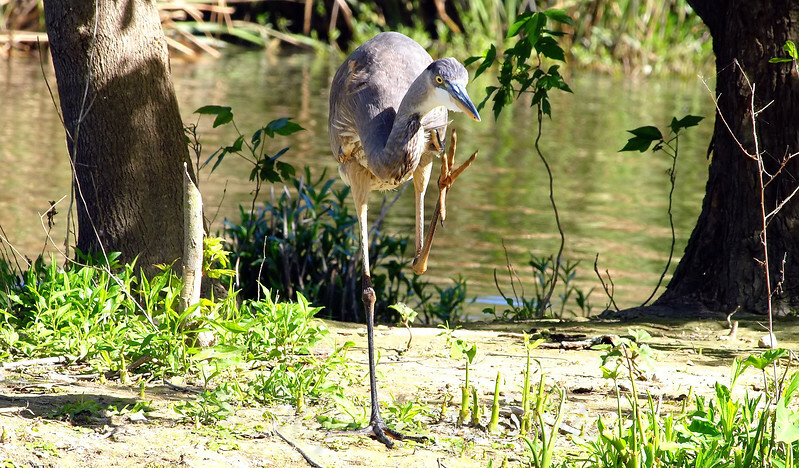 With great blue herons, you can tell a juvenile by the dark top of the head instead of the light colored stripe. Am I the only one who heard a voice saying "Live long & prosper"?